Didn't get a whole lot of pictures, but got it installed. Works great. Clutch still had life in it, but the pressure plate was just gone. Pulled this out of the old transmission. 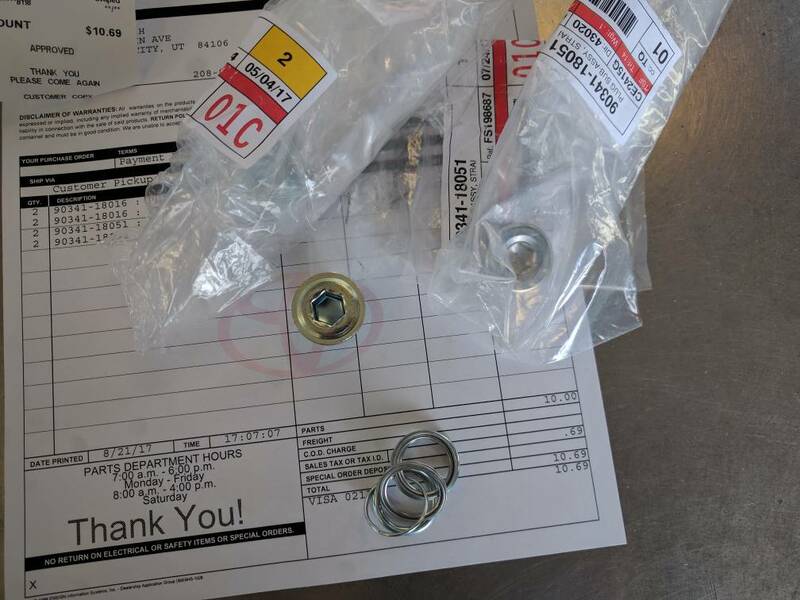 Since I work at a Toyota Dealer I decided to use my awesome employee discount for some parts. Got two of the magnetic drain plugs for my axle housings, and two of the non magnetic ones for the fill. These have the Hex head that makes them easier to get out, real happy. 4 plugs and 4 gaskets for $10.69!!! Can't wait to get these in. 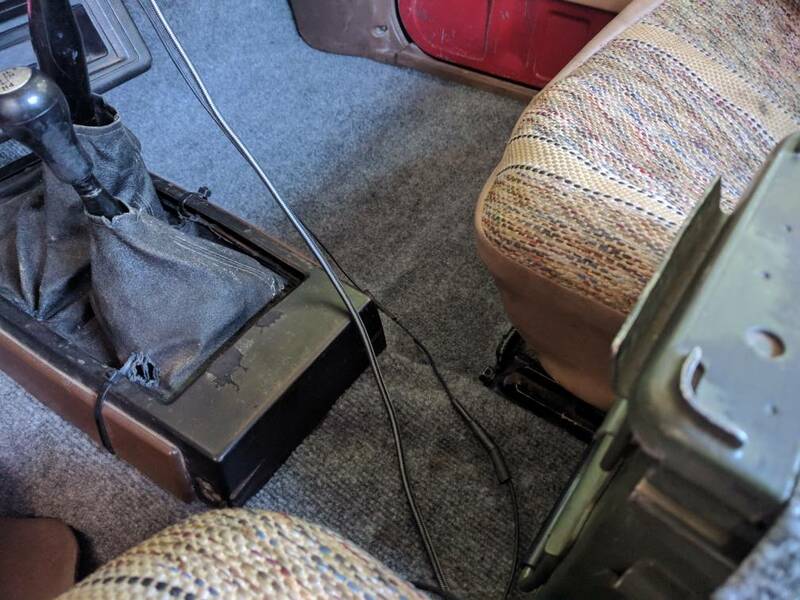 Went and installed carpet, I loved how easy it was to clean the metal floors but I like my truck so much more with the inside decent. It was a pain to cut the carpet out to the needed shape, but I did it. Aside from that, I found a pretty nasty rust Hole. I went ahead and cut out the cancer, and because of my lack of welding skills and welder, I used some of that steel stick putty, followed by primer to help it not rust. Went and installed carpet ....It was a pain to cut the carpet out to the needed shape, but I did it. 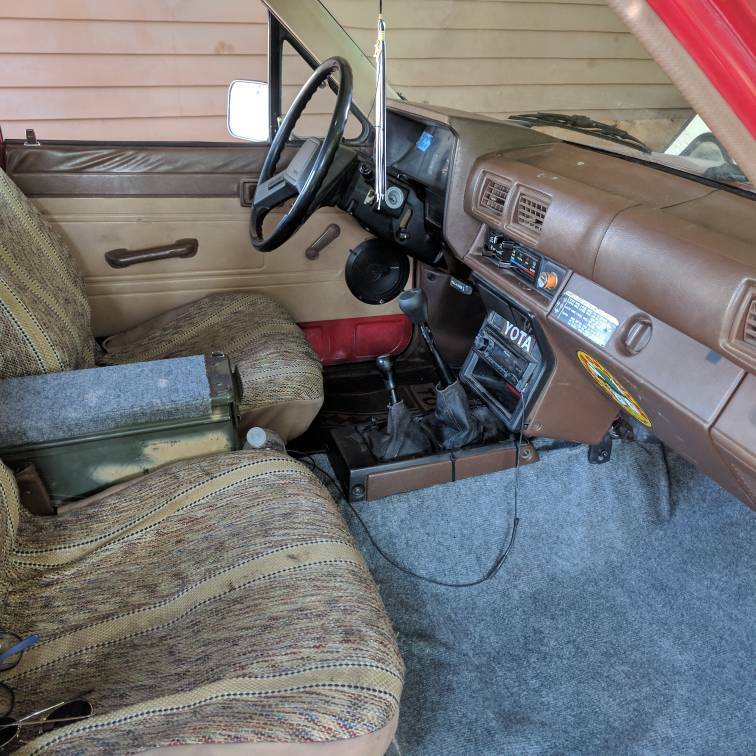 Did you buy an aftermarket carpet kit formed for the truck? No, I went to home Depot and got this thing they call an "Indoor outdoor rug" it's 6' X 8' and it's less than $20. Doing a cluster swap! 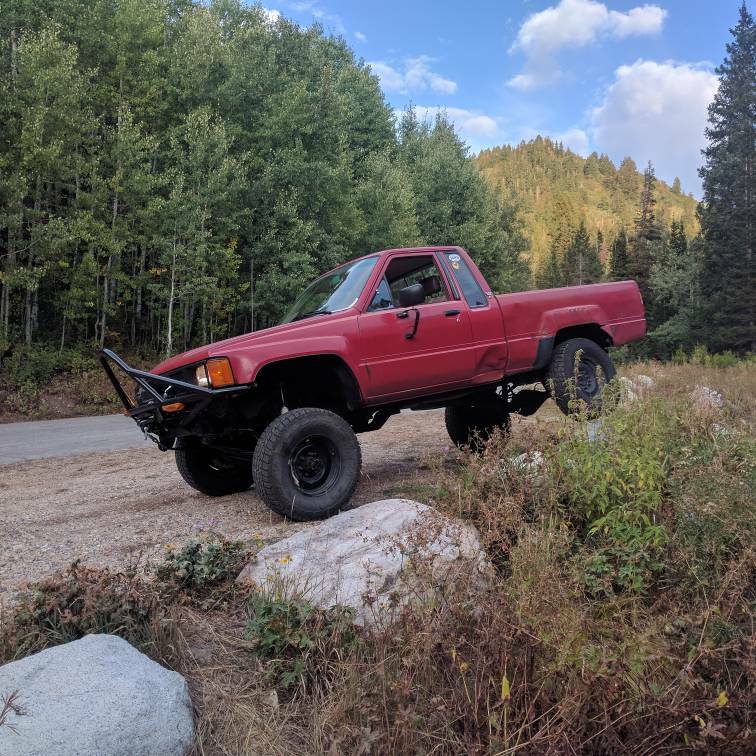 One thing I've always wanted to do was swap clusters with one from an SR5 truck, these trucks are extremely hard to find parts for at junkyards here so I just bought it online. I figured $130 is a great price considering these go for $200 to $250 when I can find them. It's off a 86 turbo truck, so it has the little light for what I'm assuming is the turbo reaching boost. I don't have a turbo, so I think I'll wire the headlights/marker lights to that switch, as I leave them on constantly and nearly kill my battery. I also, bought an LED kit with white LED'S, So this thing is gonna be so bright! LEDs are definitely worth it. Wow, I'm even more excited. However, I purchased my items on the 8th and none have been shipped, so kinda frustrated with that. 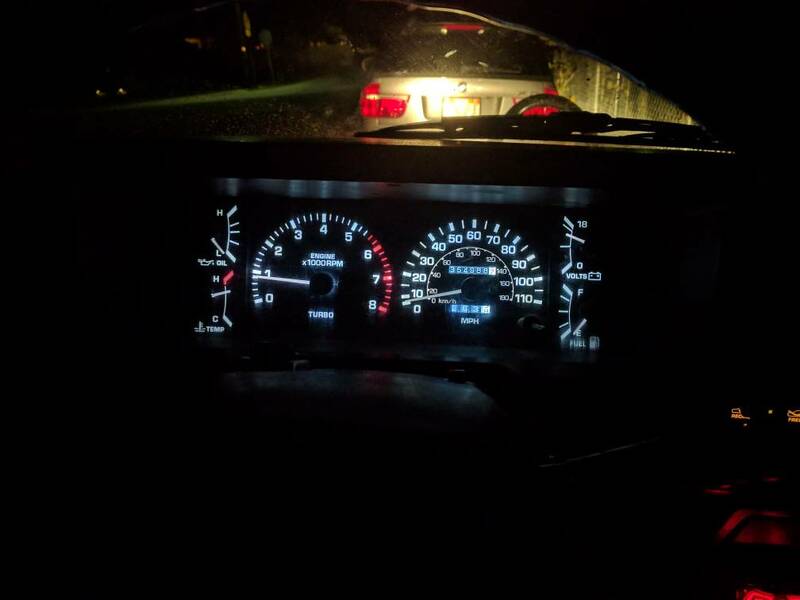 Installed the new cluster! And the LED's, these things are a little finicky but I got it working. Plus a picture of my adventure today. 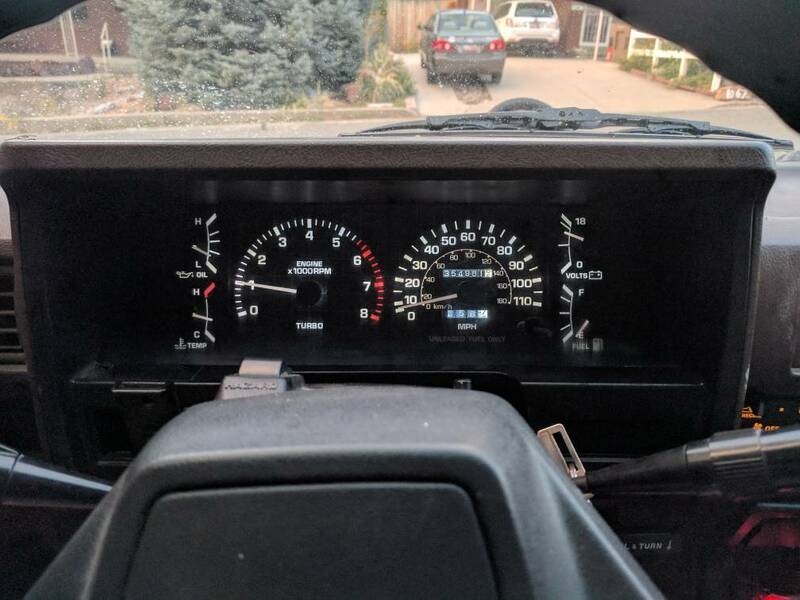 The gauges aren't working properly, oil pressure isn't working at all right now (I installed the sender, not the switch) and the temp gauge just stays the same all the time. 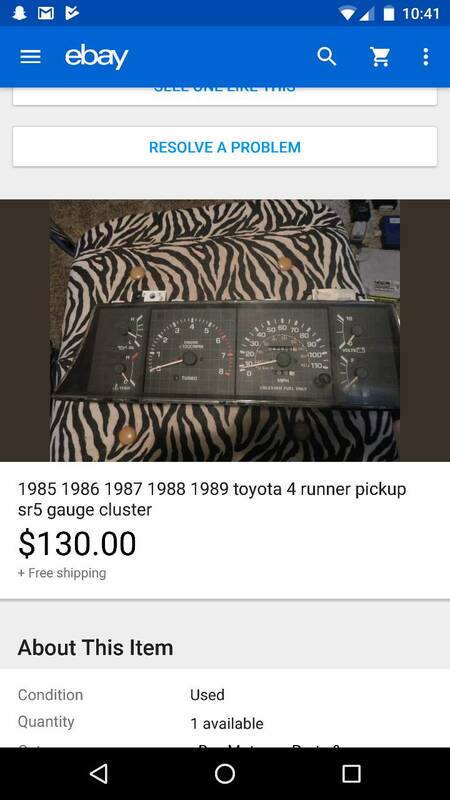 Old cluster was fine, I know these can go out of adjustment. The sender for the gauge and the sender for light use 2 different wires. If you just swapped the sender and used the same wire then you may need to look for the correct wire. Well I could get it to work, the sender uses the same wire per the FSM, pin 3 on connector A.
I think I know what the issue is, I'm using an 86 turbo cluster in an 85 truck. The pins gotta be different somewhat from both years. I just requested a return for the cluster, I removed the gauge side with the oil pressure and temperature gauge to find that some of the internal parts were broken because of how worn they were. Hopefully eBay sorts this out quick. Kinda off topic, but does anyone have tips for preventing people from messing with your winch? I was at a highschool dance tonight, only to come out to my winch cable wrapped around my truck. All of it unspooled, and kinked. Which we all know is great to steel cable. I use my winch every once in awhile so I wanna keep it on my truck, but I need a way to prevent people from messing with the free spooling. Thanks, many frustrations right now. Pad lock & chain the cable loop to something. It does, I mean, it's just a cable but that chances of it getting kinked more is not making me very happy. It definitely has more kinks in it. Also I think I found a way, the freespool lever has a set screw in it, I bet I can take it off. I pull mine so tight that it cannot be free spooled. I have to reverse it before it can be free spooled. This was a common issue when I was in school. I didn't even think of that, I'll have to try it. Thanks for the tip. I know who did it, I'm gonna yank his car into the street but after that. man people are so childish. yank 'er tight and padlock it. Oh I know who it was. He's got a Ford ranger than I'm gonna winch into his lawn or something. It'll be annoying play back.